The American South is home to some of the most interesting and adventurous cuisine in the world. With the combination of soul food cooking, Cajun influence, and region’s wild game, you’ll find some of the best recipes for pork, seafood, and even gator meat. Whether you’re a born and raised southerner or taking a trip to the south, there are some undeniable standouts in regional cuisine. Here are 4 of the most delectable southern dishes and where you need to try them. If you’re taking a trip out to New Orleans, you’ve got to get yourself some gumbo. Every gumbo needs to have celery, onions, and bell peppers. 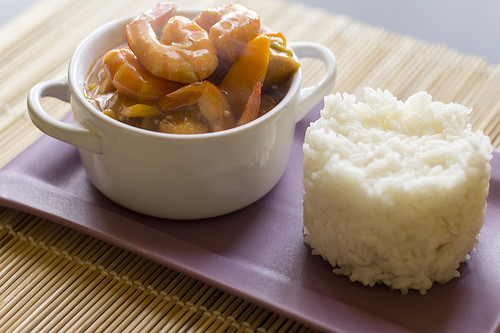 From there, a gumbo is usually categorized by the type of thickener, roux, or fat used to make it stick together. Where it was once a way to throw all sorts of kitchen scraps and leftovers together, it’s now been perfected to such an art that the Smithsonian has taken notice. You can find shrimp and grits throughout many parts of the south. In Georgia and South Carolina, you’ll find people mixing all kinds of combinations of seafood and grits. While it’s more often eaten for breakfast, shrimp and grits can be had any time of day. If you want to get a broad range of takes on the dish, book a hotel for a trip out to Brunswick, Georgia, for the annual Shrimp & Grits Festival. Take a drive 2.5 hours north and compare what you had to the famous shrimp and grits in the Charleston area. Key limes were brought to Florida in the 1800s by a botanist who imported them from Mexico. Since then, they’ve become ubiquitous in drinks, fruit salads, and desserts. The most important of all of these dishes has to be the key lime pie. Key lime pie has grown from its humble days of mostly condensed milk and merengue. It’s now been turned into chocolate-dipped popsicles, hard candy, and even soda. The standard Florida diner key lime pie is still an undefeated classic. Brunswick stew is a cousin to gumbo, but with a bit of a twist. German immigrants supposedly brought the dish to Virginia along with the standards of a tomato base, beans, meat, and vegetables. The most common take on the dish involves chicken. While it can resemble a soup with meat, it’s often thicker than a traditional soup, much like gumbo. The most common variations on the dish will include more meat and vegetables than soup base. From Memphis barbecue to the peach cobbler of Georgia, every part of the south has their own set of recipes and distinct flavors. No matter what you’re interested in trying, there is sure to be a dish that will whet your appetite. Spend enough time in the south and you may even end up taking a side in the age-old battle of whether you should eat grits with salt or with sugar. The Midwest isn’t exactly known for its distinctive cuisine. You won’t find Midwest restaurants in New York City as you would Mexican, Chinese, Cajun, or Southern-style restaurants. However, you can find some dishes that got their start in the Midwest. If you’re on a trip through the area, you can try some for yourself if you know where to look. 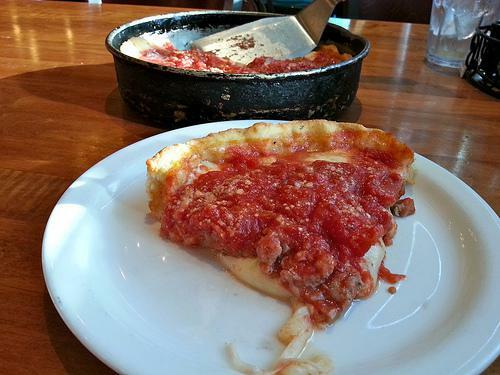 A Chicago deep-dish pizza is an experience you have to try at least once in your life. While a regular pizza is a flat plane of dough covered with tomato sauce, cheese, and toppings, a deep-dish pizza is dough in a deep pie pan. You add cheese and the toppings of your choice, and on top of the pizza, you pour a thick layer of chunky tomato sauce. The best place to find a Chicago deep-dish pizza is in Chicago, but you can find restaurants that serve it throughout the Midwest. The Quad Cities in Illinois and Iowa along the Mississippi River have their own take on the classic pizza. The crust is the usual shape, but the crust contains malt that adds a nutty sweetness, and the tomato sauce is spicier than usual. You’ll also find toppings placed under the cheese, with the pizza cut into strips instead of wedges. You may find it difficult to locate Quad City pizza outside the Quad Cities themselves, so it may be worth the time to book a hotel in Moline, Illinois, to stay at so that you have an excuse to eat this type of pizza for dinner. Don’t let the name fool you: Cincinnati chili has little to do with the Mexican-style chili you eat as a meal. They both use tomato sauce and ground beef, but the resemblance ends there. 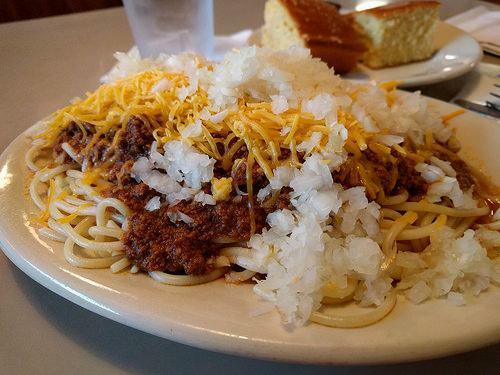 Cincinnati chili is the creation of Macedonian immigrants, and it uses cinnamon and cloves, and maybe some onion and cheese, served as a sauce on spaghetti or hot dogs. The easiest place to get some is Cincinnati, but you can also find it on menus of restaurants in Ohio and in parts of Indiana. Bratwursts look similar to the grown-up version of a hot dog, and they’re the tube meat of choice in Wisconsin. Different parts of the state and different cooks have their own interpretation of how to serve the perfect brat, but a few common choices exist throughout the state. Say no to ketchup but yes to spicy mustard; use a sturdy bun that can handle a juicy brat, and top it with warm sauerkraut and raw onion. Wisconsin brats are available at German restaurants and sports stadiums throughout the state, such as the parking lot of Milwaukee’s Miller Park, home of the Milwaukee Brewers. Thanks to all the individuals who settled in the American Midwest and all the city centers that developed their own take on classic foods, the Midwest is home to all types of dishes you’d have a hard time finding elsewhere. You may not find a Midwest restaurant on the East Coast, but if you head through the region itself, you’ll find plenty of delicious regional favorites. Known as “Paris Van Java,” Bandung, Indonesia has been termed “Paris of Java” by its Dutch colonizers. Today, Bandung still retains its European vibe. While it is likely that Bandung may resemble a Parisian city of the 19th century more than a modern Paris of today, given this Javanese city’s relaxed more rustic vibes. 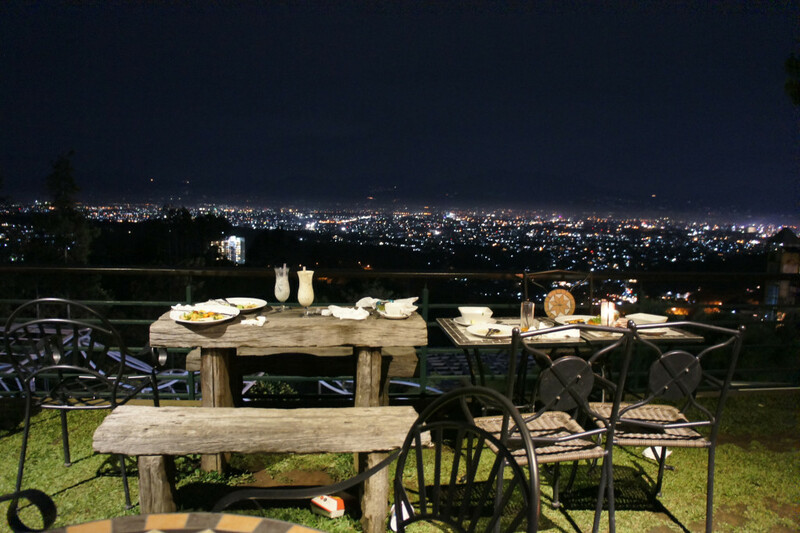 Here are a few reasons Bandung is the Paris of Java. Bandung is one of the top locations in Southeast Asia to buy designer clothes, so in this way it resembles Paris. But where you would expect to pay top dollar (euro) for designer duds in Paris, luckily Bandung is different in this way. Paris Van Java is home to a mass of outlet stores which sell legitimate top brands(most of the time) at discount rates. It is possible to get a complete wardrobe of high quality clothes for a fraction of the price you would pay for the same items back home. So just like Paris of France, Paris Van Java is a perfect place to shop til’ you drop. Bandung has hotels that counter those of Paris. Ranging from high-end classical, to budget hostels, to funky artsy themed hotels, there is something for every palette. Many of these places can be booked booked via sites such as Traveloka.com including the luxurious Grand Royal Panghegar, famous for its world class charm. Bandung is also home truly unique lodgings, including waterside wood huts with glamorous interiors, rustic mountainside cabins complete with lawn gnomes, a waterpark hotel that is perfect for the kids, and a romantic castle true to Paris‘ 19th century gothic style. If Paris is known for one thing more than any other it is its cafe culture. In terms of unique cafe experiences Bandung rivals its European counterpart. Bandung has cafes to suit any taste, ranging from simple steet-side coffee shops perfect for a quick cup; to elegant places great for dinner or lunch. The Javanese and international food in Bandung is some of the best in Indonesia. Paris Van Java is also home to some magnificent themed cafe, including garden themed and several retro themed cafes as well. Badung also has several art galleries doubling as cafes, could it get any more Paris than that? So if you are looking to rekindle your romance why not give Java’s city of a love a try instead of the French version. Not only will have the opportunity to experience a gorgeous country filled with natural wonders beyond compare, you will also get many of the charms you would get in Paris itself, often at a fraction of the price. So sipping coffee while taking a break from designer shopping can be equally rewarding in Java as it is France. It is with good reason the Dutch dubbed Bandung, Paris Van Java. Maybe You Can’t Travel, But You Can Indulge! With the frigid winter upon us, diminishing hours of daylight and heavy holiday meals surrounding our waists, it’s more important now than ever to make sure we take care of ourselves. Whether it’s a skin treatment to rejuvenate our chapped skin, opting to join a fitness center to maintain our summer bods, or just indulging in a relaxing massage to decompress after a long working week, wellness is important this time of year. Travel might not be a feasible alternative with work, but treating yourself or loved ones to a little bit of TLC could be an option. Fancy yourself a fan of the homes of Hollywood stars? For the longest time, the star-struck among us had to content ourselves with going on tours of celeb homes, and standing on the outside looking in, imagine in our minds what it must be like to have a home that resembles a palace more closely than one in which we would raise our families. 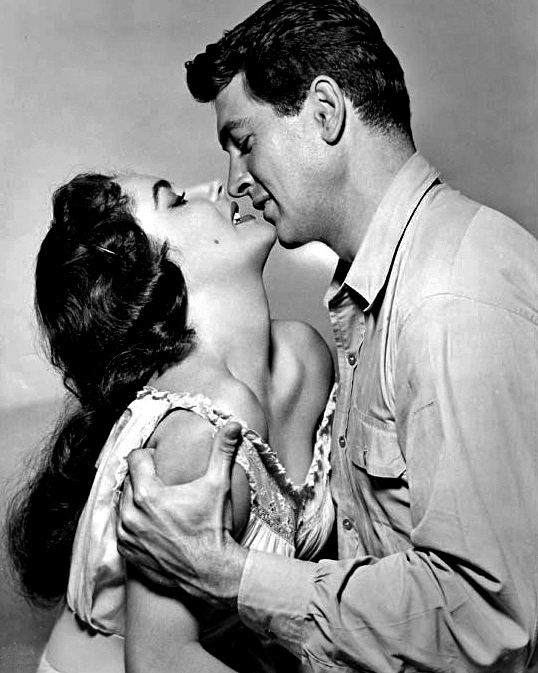 In the past decade or so however, enterprising entrepreneurs have snapped up the former abodes of A-list names like Elizabeth Taylor and Merv Griffin, and have converted them into holiday rentals for those wanting to live out a long standing dream. 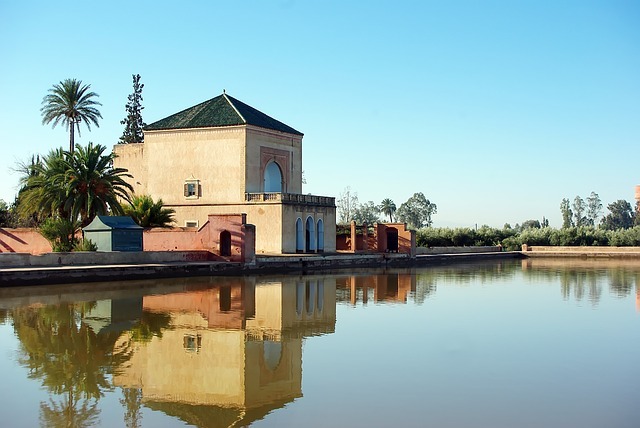 What’s more, the price on many of these beauties is more than reasonable … if you save up a bit of money, paying less than £400 a night to stay in Liz Taylor’s former castle becomes very doable. Check out Groupon Pages for great insight on Restaurants! Groupon has been expanding into different verticals recently. Their bread and butter is still deal-a-day vouchers, but they have a massive selection of online coupons and have now created a sort of directory of sorts for restaurants around the country. There are real reviews about the places, detailes, maps, business information, etc. 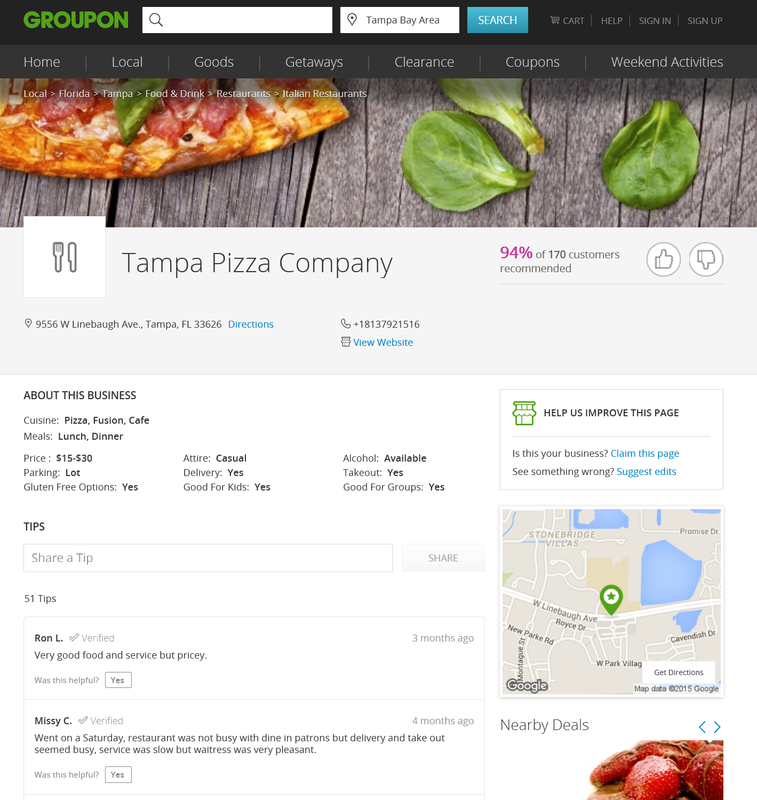 You can check out an example here: Tampa Pizza Company. 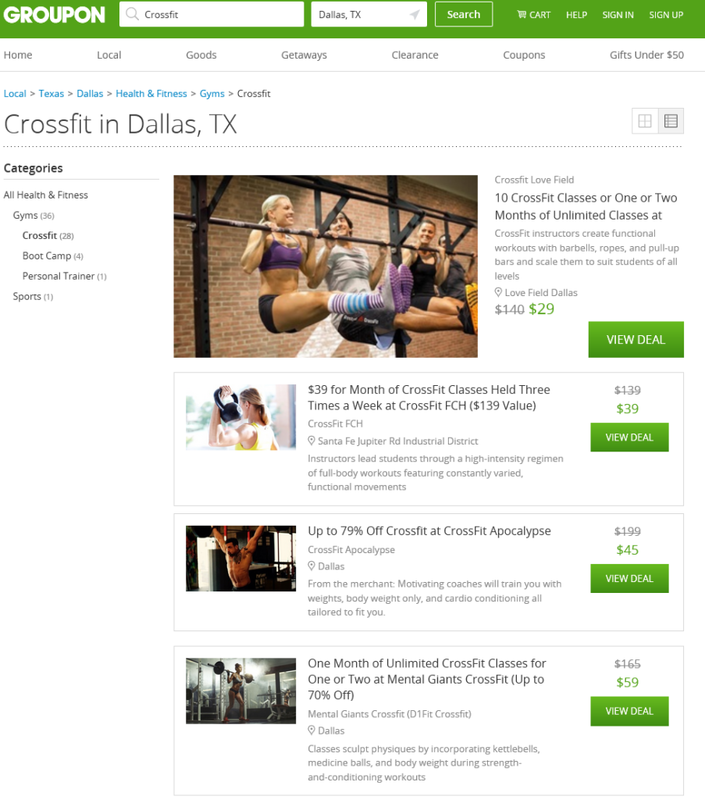 Groupon Pages are very well laid out and helpful and can be a great asset next time your traveling on business or pleasure! This site is called Best World Travel Deals.com for a reason! Today we’ve got a great tip for you all. Most people are familiar with Groupon for being the deal-a-day giant, but they have recently gotten into a new vertical, online coupons. Leveraging their massive relations with retailers small and large, they were able to secure over 70,000 exclusive coupons with more than 9,000 different retailers available on their website, sans annoying sign-ups. You can find coupons to save money on virtually anything you might be shopping for, but there are an especially large amount of coupons available in the travel arena. There are all the companies you know and trust like Travelocity, Orbitz Fox rent-a-car and much more. 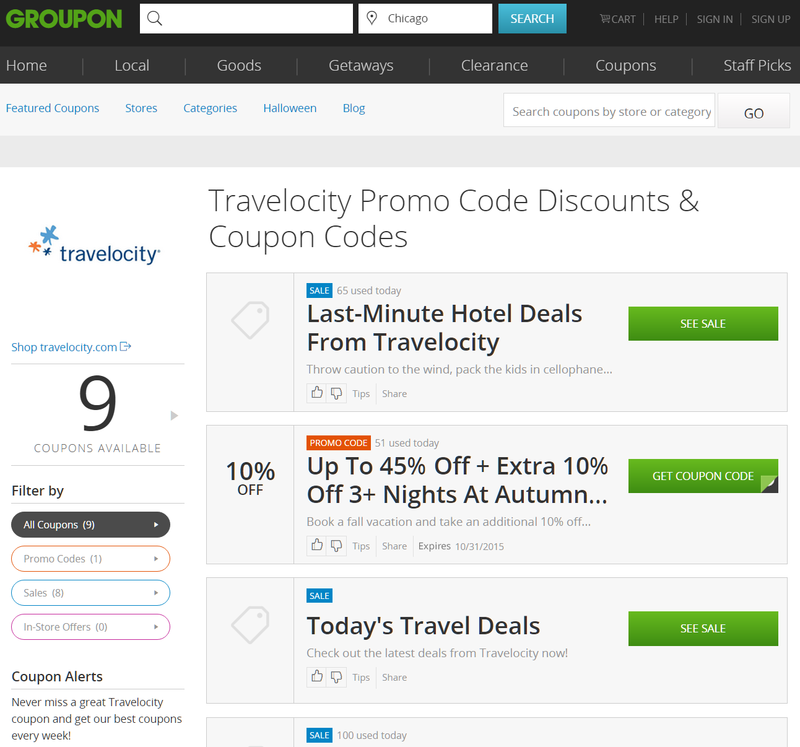 Check out Groupon Coupons today and start saving! With wedding season just around the corner, now is the time to start planning those all-important stag and hen nights. Nowadays, these celebrations are more than just an evening out – they’re a holiday in themselves, and that’s why picking your destination is so important. Of course, whether it’s a hen night or simply just an excuse to have a good time, good nightlife in any holiday destination is essential, and that’s why more and more of us are turning to Canada. Wherever you land in the Great White North, here are the nightlife spots in Canada that cannot be missed. Far from being just simply a wonderfully romantic destination, Niagara Falls also offers a great night out thanks to its casino resort. Gambling has always been a controversial issue in Canada, with sites like http://cad.SpinPalace.com only legal in certain regions. For that reason, stick to practising at Spin Palace at home – you can enjoy the best of the land-based casino action within this resort, which features an array of visual spectacles such as its famed glass enclosed walkway. Perfect for those who are keen on a tipple or two, Montreal’s Brutopia is particularly welcoming thanks to the relatively lenient drinking laws in the region – that is, one only has to be 18. 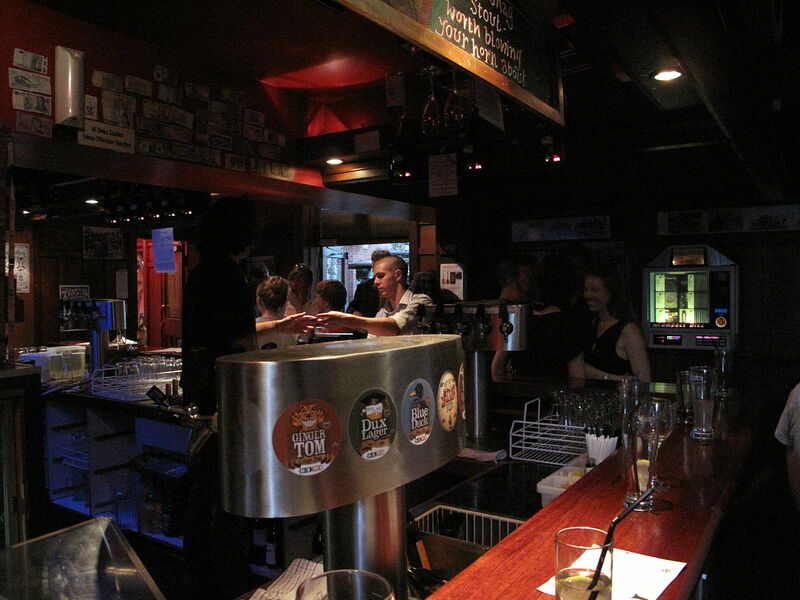 Hence, most folks can enjoy the abundance of entertainment that goes on here, including frequent live jazz performances and an extremely impressive selection of beers. If you’re getting married in the summer, then be sure to head over to Montreal (appearing twice here simply for being known as Canada’s ‘party capital’) to catch the Just for Laughs festival in July. This year’s line-up will feature the comedic talents of Neil Patrick Harris and Mike Myers – guaranteeing a night out filled with huge grins. 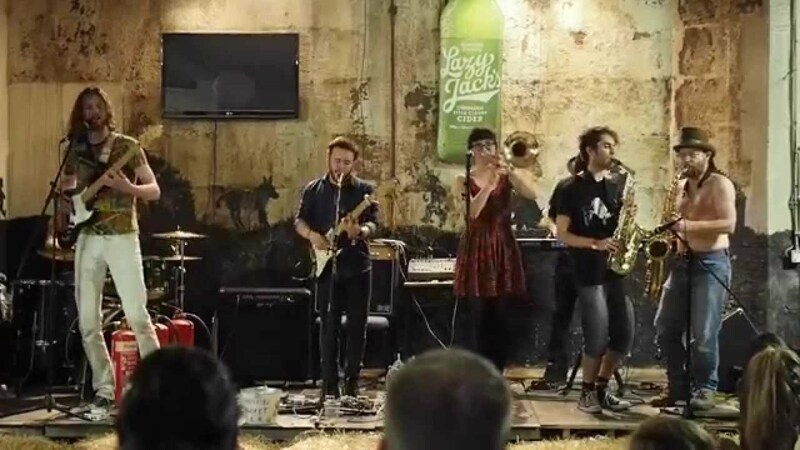 Energising Latin music? Drag queens? Check. This Latin drag bar is in Toronto is sure to be one night out you’ll never forget: El Convento Rico features live entertainment from exotic dancers, a bright and vibrant décor and out of this world catering. Another Toronto hit, the C Lounge promises a night out that’s a little different from the rest – it has its own on-site spa too! Make sure you turn up early to get your hands on some spa treatments while you sip cocktails in its chic interiors. What’s more, head over in summer and you can even have access to your own VIP area by the pool, complete with palm trees.